Joanna mused about the possibility of getting permission for him to deliver. If she can arrange it, Santosh said, he would be happy to oblige. But he would need someone to do the delivery for him – his stand is usually busy with at least 50 customers waiting for a hot cup of his special ginger chai. Forget Deepika and Ranveer. 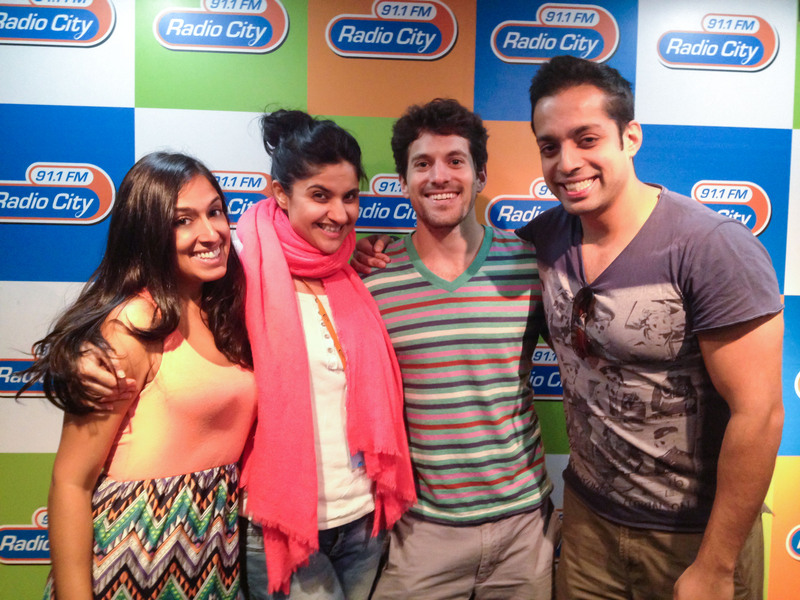 The hottest couple in town is chai and vada pav – a love marriage made for Mumbai. Rajendra (accidentally referred to as Santosh in the interview) and Baskar have been celebrating this relationship for the past 20 years. 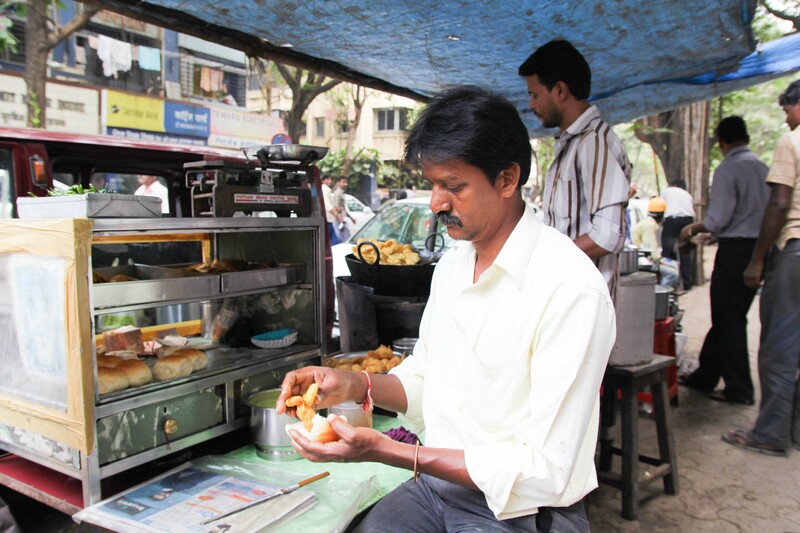 The two set up their businesses side-by-side – Rajendra selling chai, Baskar selling vada pav – under the same tarpaulin on a shaded sidewalk in Mahim. 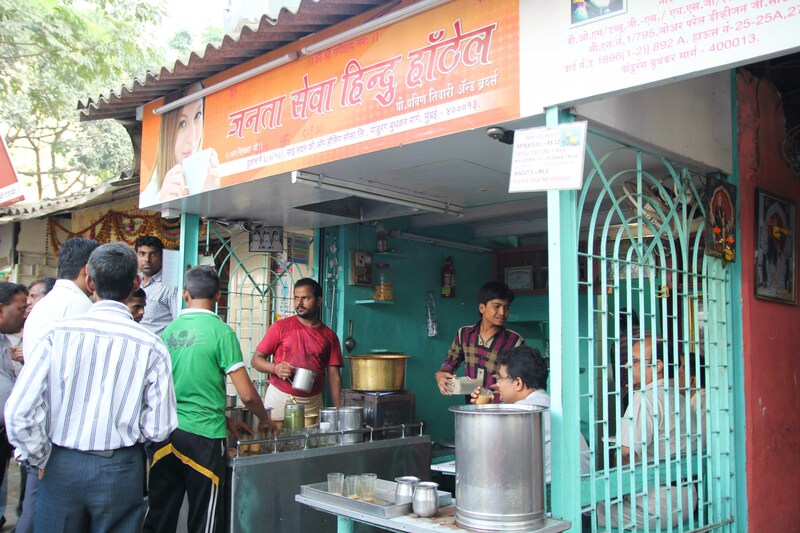 Most customers come for their routine cup of chai, but once they get a whiff of spiced batata vadas frying, it is hard for them to resist Rajendra’s cry: “Chai piyo, vada pav khao!” Drink chai and eat vada pav! 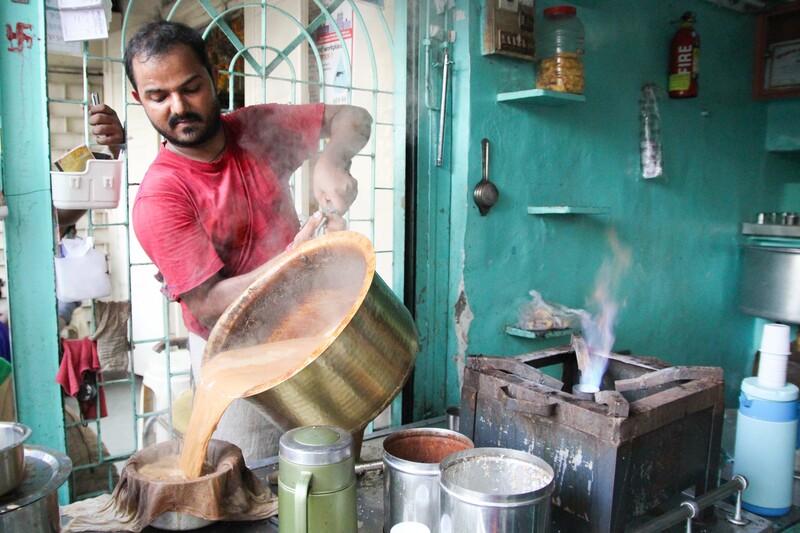 Rajendra’s chai operation began first. In 1991 he started the tea stall with his father who had lost his job in a garment factory when Mumbai’s mills began to close. A few years after, Baskar set up shop next to Rajendra, making an assortment of fried snacks including samosas and pakodas. Of course, his best seller is vada pav – a mashed potato patty laden with ginger, garlic, chillies, onions and spices, coated in seasoned besan, or chickpea flour, then deep-fried and sandwiched in a soft bun smeared with spicy mint, coconut or tamarind chutney. How do you say in Hindi: “WHY WOULD ANYONE BOTHER DRINKING COFFEE?”! !